The two new vessel designs are for a 200,000cbm LNG Carrier and a 147,000cbm Very Large Ethane Carrier (VLEC). 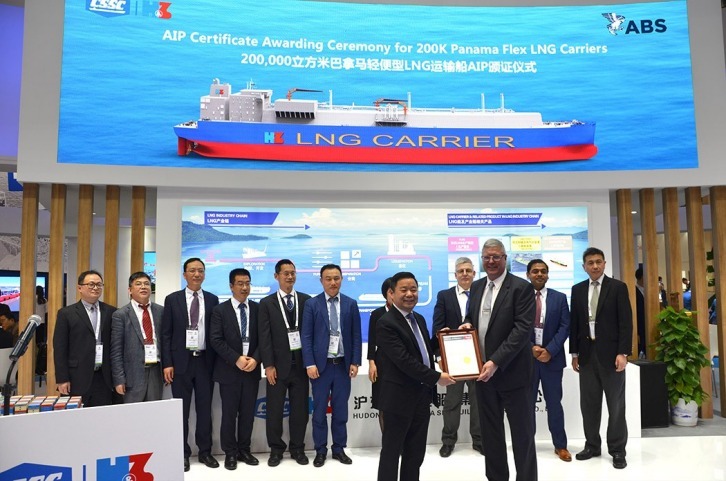 The LNG Carrier is designed for long-distance, large-scale LNG transportation, featuring enhanced cargo capacity and greater efficiency compared to conventional ships. The VLEC is a tailored design for U.S. – China routes, which can meet US Coast Guard requirements and is equipped with a dual-fuel propulsion system using ethane as the main fuel, which can meet emission requirements. Neptun’s “Blue Azurit” Wind Turbine Transport Vessel. Image by ABS.